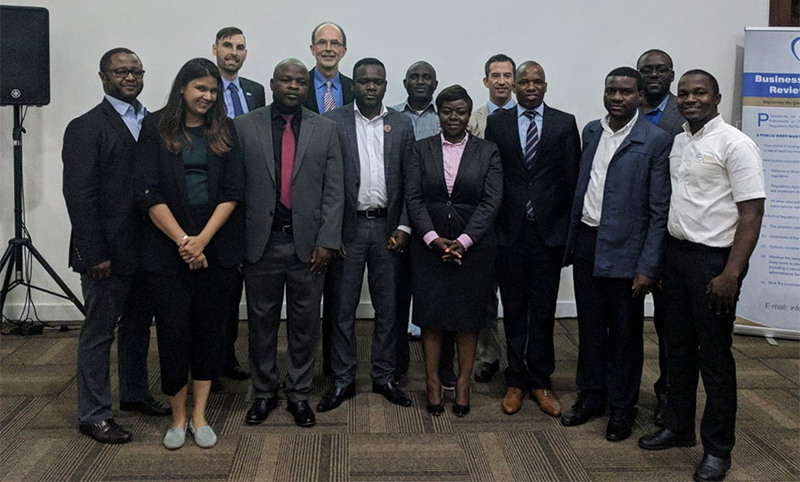 The Standards Alliance recently organized a two-day training in Lusaka, Zambia on July 19-20 titled "Evidence-based Regulatory Decision Marking: the role of RIA and Public Consultation." This workshop was co-hosted by Zambia’s Business Regulatory Review Agency (BRRA). 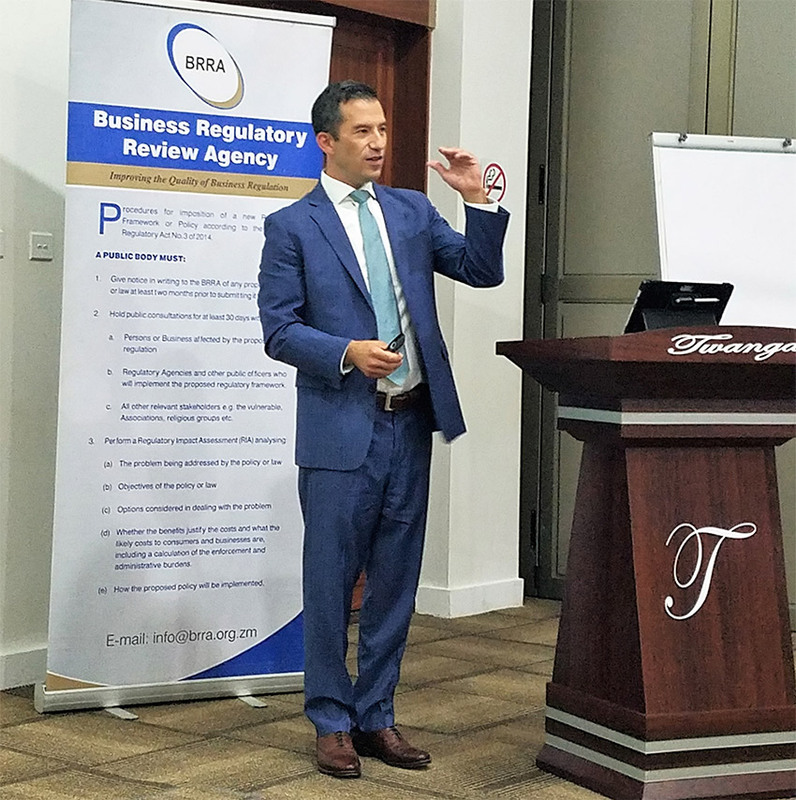 The training focused on promoting the use of Regulatory Impact Analysis (RIA) in the Zambian regulatory system and providing practical training for Zambian regulators on RIA implementation. The training included 28 Zambian regulators and 5 members of BRRA. The event featured presentations by U.S. and Zambian participants including presentations from Grocery Manufacturer's Association (GMA), National Commission for the Certification of Crane Operators (NCCCO), Regulatory Strategies and Solutions Group (RSS Group), the International Air Transport Association (IATA), BRRA, the Zambian National Water Supply and Sanitation Council, Zambian Water Resources Management Authority, Zambian National Broadcasting Corporation, and Zambia Railways Limited. The two-day training included an evening ceremony promoting the release of the Zambian "RIA Handbook" and the "RIA Standards and Guidelines" by Permanent Secretary Kayula Siame. The handbook and guidelines describe the legal underpinnings and detail the processes and procedures for RIA in Zambia.